Taking the prescription antidepressant Paxil during pregnancy can result in autism and birth defects. The drug is also linked to an increased risk of suicide in adolescents and withdrawal symptoms. This led to a number of lawsuits and settlements against drugmaker GlaxoSmithKline. Approximately 5,000 people in the U.S. have filed lawsuits against GlaxoSmithKline (GSK) since Paxil, the brand-name of the drug paroxetine, became available in 1992. Some of these claims were class-action suits. Cases alleged Paxil led to birth defects, withdrawal symptoms, or suicides. In October 2009, the first birth defect case against the drug manufacturer went to trial. A Philadelphia jury awarded $2.5 million to 3-year-old Lyam Kilker, who was born with severe heart malformations as a result of his mother’s use of Paxil for mild anxiety while she was pregnant. The jury found that GSK “negligently failed to warn” the doctor treating Kilker’s mother, Michelle David, about Paxil’s risks and that the drug was a “factual cause” of her son’s heart defects. David had taken Paxil prior to Dec. 8, 2005, when the FDA informed physicians that the drug might contribute to heart defects in infants when taken during the first trimester. 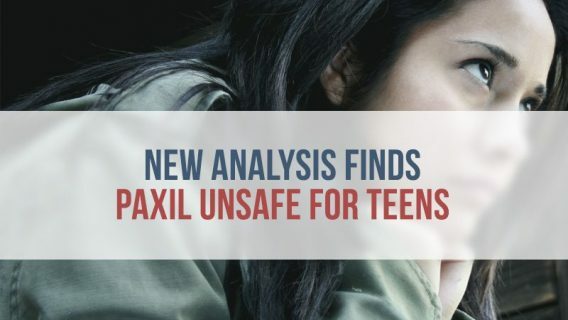 Because of these findings, the FDA required GSK to update the pregnancy warning on Paxil’s label to “Category D,” which signifies a positive evidentiary risk to fetal health. By July 2010, GSK had settled approximately 800 Paxil birth defect lawsuits at a cost of $1.14 billion, with an average payout of $1.2 million to families of affected children. In the largest pharmaceutical settlement in the nation’s history, GSK in 2012 agreed to plead guilty and pay $3 billion to resolve criminal and civil liability for promoting Paxil and other prescription drugs for unapproved uses and failing to report safety data about the medications. Liability was established under the False Claims Act, also called the “Lincoln Law,” when four GSK employees tipped off the government about a range of improper practices between the late 1990s and mid-2000s. “At every level, we are determined to stop practices that jeopardize patients’ health, harm taxpayers, and violate the public trust — and this historic action is a clear warning to any company that chooses to break the law,” James M. Cole, deputy attorney general, said in the U.S. Department of Justice announcement of the settlement. Criminal counts included misbranding Paxil and Wellbutrin, another antidepressant, into interstate commerce. GSK also agreed to plead guilty to a criminal charge of failing to report safety data about the company’s popular diabetes drug, Avandia, to the FDA. Prosecutors said GSK illegally marketed Paxil to children, including helping to publish a medical journal article that misreported data from a clinical trial. The drug maker also attempted to bribe doctors to prescribe the antidepressant to children as an off-label treatment for depression and anxiety. Paxil belongs to a class of antidepressants known as selective serotonin reuptake inhibitors (SSRIs). All SSRIs now carry FDA black box warnings for an increased risk of suicidal thoughts and behaviors in children and adolescents who take the drugs. According to the complaint filed by the United States, GSK tried to win over doctors by offering spa treatments, hunting excursions and trips to Bermuda and Jamaica. GSK is also charged with illegally marketing Wellbutrin for off-label uses, including weight loss and sexual dysfunction. Kilker’s case set the stage for more Paxil-related birth defect lawsuits. The majority of claims ended up consolidated in the Philadelphia County Court of Common Pleas, where the 800 cases settled in 2010. GSK officials confirmed to Bloomberg that the company had set aside $2.4 billion to resolve litigation over Paxil and its diabetes drug, Avandia. The company refused to comment on the terms of the settlements, but Bloomberg reported that the birth defects settlements brought GSK’s total to more than $2 billion to resolve Paxil lawsuits alone. Although the settlement took care of the majority of these claims, around 100 lawsuits remained pending in Philadelphia for several years, with many of the remaining cases eventually decentralized. In April 2016, Philadelphia County Court of Common Pleas Judge Kenneth Powell dismissed a cardiac birth defect suit against GSK mid-trial for lack of adequate evidence by the plaintiffs. It was the first of nine similar cases queued for trial. The case was brought by plaintiffs Baden Rader and his mother, Elisabeth Balser, who allege GSK did not provide adequate warning of Paxil’s birth defect risks during her pregnancy. Rader was born with Tetralogy of Fallot, a rare congenital birth defect that usually involves four abnormalities in the heart. Paxil carried a milder pregnancy warning (category C) at the time Balser was prescribed the antidepressant in 2003. Because of the lack of substantial evidence, Powell granted compulsory nonsuit, a court decision that their case could not proceed to trial, to Rader and Balser’s case against GSK. In a written opinion issued in February 2017, Powell explained his bench ruling, calling the grant of nonsuit “an unfortunate, but absolute, necessity” because of an omitted witness question. Powell noted the plaintiffs’ counsel failed to ask Dr. Robert Kiehn, the physician who prescribed Paxil to Balser, if Kiehn would have still prescribed the drug if he’d known at the time about the potential birth defect risk. The plaintiffs are appealing Powell’s decision to the state Superior Court based on an alleged 11 points of error in the ruling. On April 21, 2016, Philadelphia County Court of Common Pleas Judge Arnold New agreed to pause the consolidated Paxil litigation program until a final conclusion is reached in the case. In February 2017, GSK announced that a settlement had been reached in a class action lawsuit filed by a Vancouver, Canada, firm that involves 50 mothers and their children. British Columbia resident Faith Gibson was the representative plaintiff in the suit. Gibson’s daughter, Meah Bartram, was born with a hole in her heart in 2005. The law firm that handled the case says as many as 200 children in Canada could benefit from the settlement. Withdrawal syndrome is listed in Paxil’s label as a possible adverse effect. Although Paxil is not addictive, several studies have shown discontinuation reactions, including dizziness, numbness, paraesthesia, and electric shock-like sensations, upon quitting SSRIs. GSK has settled thousands of lawsuits related to these issues. All cases were settled out of court with no jury awards given. In 2006, federal lawsuits that had been consolidated in the Central District of California closed in settlement, with 1,574 plaintiffs paid an average of about $50,000 per case. Ultimately, GSK would resolve approximately 3,200 claims linking Paxil to withdrawal symptoms for a total of $160 million. In 2004, the FDA found an increased risk of suicide among children and adolescents taking Paxil. The same year, New York attorney general accused GSK of hiding information about such risks associated with the antidepressant drug. While there is no history of mass tort filings related to Paxil’s suicide connection, numerous cases have been tried or settled on a case-by-case basis. GSK paid $390 million for suicides or attempted suicides said to be linked to the drug, according to Bloomberg. Few cases related to suicide are still being filed today. The most recent Paxil suicide case involved former corporate lawyer Stewart Dolin, who was struck and killed by a Chicago Transit Authority train on July 15, 2010, while taking a generic version of Paxil. His death was quickly ruled a suicide, but Dolin’s widow claimed it was caused by an adverse reaction to the antidepressant. The widow, Wendy Dolin, sought $12 million for her husband’s death in a trial that began in March 2017. On April 20, 2017, an Illinois federal jury found GSK liable for Stewart Dolin’s death and ordered the pharmaceutical company to pay $3 million to Wendy Dolin. In the trial, Dolin’s lawyers claimed GSK knew about the increased suicide risks in adult Paxil patients before the drug went on the market and it hid the dangerous effect from the FDA and prescribing physicians. “The kinds of risk we’re talking about right from the start are multiples of what is required to be reported under the law,” David Rapoport, one of Dolin’s attorneys, told the jury in a Chicago federal court. GSK’s defense team claimed it was Dolin’s depression and job security with Chicago law firm Reed Smith that led to him jumping in front of the commuter train. Dolin had become a partner at Reed Smith after his smaller firm was acquired by the international firm in 2007. GSK also claimed it should not be held responsible since Dolin took a generic version of Paxil. But Wendy Dolin’s suit argued — and the jury agreed — GSK was still responsible because the drugs are identical and have the same labeling. “This for me has not just been about the money. This has always been about awareness to a health issue, and the public has to be aware of this,” Wendy Dolin told the Chicago Tribune following the verdict. However, in August 2018, a U.S. appeals court tossed the $3 million verdict. A panel of three judges found GSK could not be held liable for the alleged injuries caused by a generic version. In September 2018, U.S. Court of Appeals for the Seventh Circuit denied Dolin’s request for a new hearing.